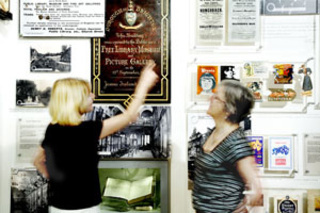 Brighton Museum houses one of the most important and eclectic collections outside national institutions. Its recent £10million redevelopment has created dynamic and innovative new galleries that encourage you to get involved as you wander round the transformed museum. Visit Mr Willett's Popular Pottery gallery and find out just why his pottery was so popular! Our year-round exhibitions explore a wide range of subjects and themes, many relating to our permanent gallery themes and collections.